This episode was absolutely breathtaking to me. The realization of just how deep down the rabbit hole we had gotten dawned on me. The intensity and realness of the need for survival, in my eyes, was always overshadowed by shipping beforehand. I love shipping, but was always a first to argue that at its core, this show was about survival. That being said, this was the first episode the only thing I could focus on was everyone surviving. The Linctavia moment barely passed on my radar because I was so astonished at how dark and gritty the show was truly getting. But, I’m getting ahead of myself…. The show begins and we’re right where we left off last week. The missile has hit TonDC and all hell has broken loose. 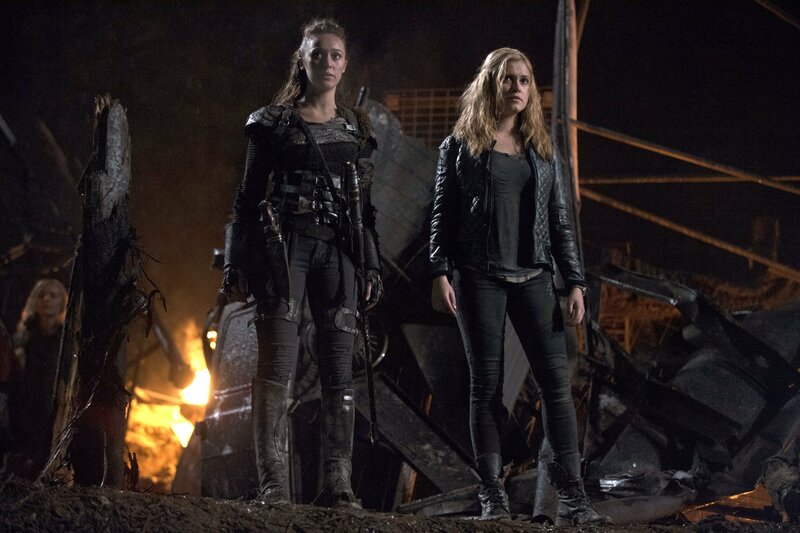 Clarke and Lexa are, of course, away from the wreckage. Clarke is in shock over what she’s done. Lexa tells her to snap out of it, as she still stands behind her belief this sacrifice was needed. Clarke tells Lexa she wants the mountain men dead, all of them. Lexa seems a little taken aback by Clarke’s steely statement at first, but nods her head, perhaps surprised her and Clarke are, for once, on the same page. They realize there is a sniper shooting at the survivors, and although Lexa is reluctant at first, she agrees with Clarke to go find and kill him. Lincoln pulls Indra out of the wreckage, who stubbornly tells him to get away from her since he is a ‘Reaper’. Abby and Nyko are trying to find survivors but are struggling to help as the sniper is shooting at everyone. Lincoln gets Indra to Nyko, who begins to treat her, and then leaves to go try to take down the sniper himself. 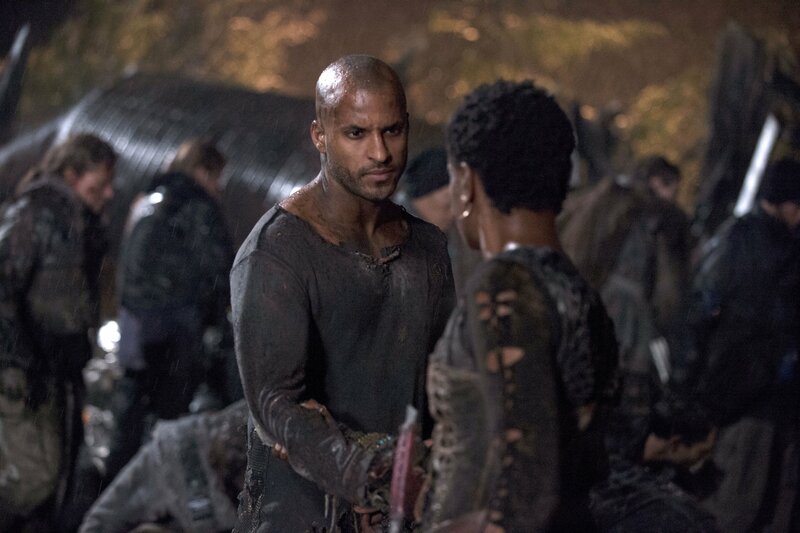 Indra tells Octavia that as her second she needs to get the Grounders to listen to her. 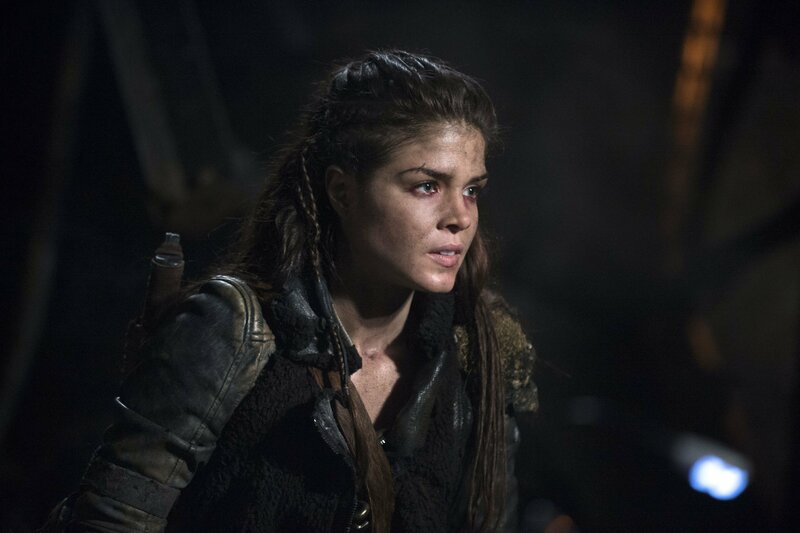 Apparently, this may be a difficult task, shown through the snarky remarks the Grounders are making to Octavia, spitting out “Sky Girl” at her. 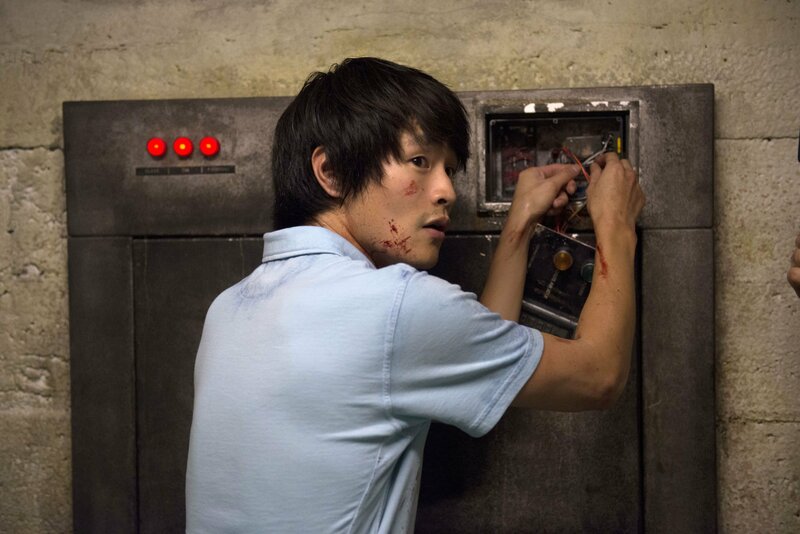 Abby hears clanging in the wreckage and dives straight into it, finding Kane at the bottom, with a beam on top of him. She promises to get him out, but then the rubble collapses on top of them. Octavia knows Abby is in the rubble but can’t get to her because of the sniper. One of the Grounders tries to make a break for it but is immediately shot at and returns to Octavia. He has a bottle of alcohol he has been taken swigs at, and Octavia gets the idea to throw the bottle in the wreckage, creating a mini explosion and smoke. With the smoke as cover, they run over and begin digging. back, “Do me a favour…no more lessons.” They come upon Lincoln, who I think based on the look in his eyes may have realized the two of them snuck away. They team up and go to find the sniper. Once they do, the sniper takes Lincoln down with the tone generator and holds a knife to his throat. Lincoln tells Clarke to kill him so she can then shoot the sniper. No doubt Lexa would have done it. He pleads with Clarke, “Your people need you,” to which Clarke responds, “You are my people,” and then shoots and kills the sniper, through Lincoln’s arm. Holayyyyyy, without a second thought. Abby is awake after the collapse and wakes up Kane. She ends up telling him that Clarke was aware the missile was coming. Kane is surprisingly understanding, saying they are the ones to blame. She grew up on the Ark, and learned from them. All the floating and sacrificing of their loved ones for the supposed greater good of their people was an example to her. Abby relates this to floating Clarke’s father, and seems to gain a better understanding of her daughter. Now the sniper is dead, Octavia and crew are able to dig Abby and Kane out. Sinclair and Jackson have shown up with medical supplies and help after seeing the missile. Clarke and Lexa return as well, and Lexa starts giving a motivational speech saying, “What happened here will not stand. The mountain will fall. The dead will be avenged.” You can literally see Abby roll her eyes in disgust before she cuts Lexa off and instructs people to start saving those people who are still buried. Abby tries to get Clarke to help with the medical team, but Clarke tells her that the sniper wasn’t wearing a hazmat suit, so the bone marrow treatments are working. Abby surprisingly doesn’t try to stop her from going to Mount Weather, most likely because of her talk with Kane. She instead tells her, “Do something for me…don’t forget we’re the good guys”. dining hall, all grabbing weapons. The kids have control of the cameras and lay in wait for the mountain men, Jasper telling Harper to grab a bucket of water. When they come, the 47 are horrified to realize not all of them are wearing hazmat suits, meaning their treatments are working. The Mountain Men, led by the familiar Emerson, throw in smoke bombs and tear down the barricade. When they come in, all the kids are passed out. Or so they think. Just as they find one of the smoke bombs in the bucket of water, all the kids jump up and attack. And I mean, ATTACK. Violent thrashing, blood spraying, feverish fight for your life killing. It was MIND BLOWING and completely my favourite scene in this episode. These are KIDS, and so quickly we forget that. It shows you completely what war and fighting for survival does to people. The Mountain Men retreat, but Monty and Jasper quickly realize they’ve taken Fox, who Jasper had earlier promised everything would be alright. He’s furious, and in that moment sees that one of the mountain men on the floor is still alive and crawling. He walks up to him and swings an axe into his back. Holy. Crap. Maya says they need to go hide. She takes them to her home inside the mountain, and we learn a little about her family and why Maya is the way she is. Her parents tried to start a revolution to stop using Grounder blood. When Maya was 5, her mother refused treatment and died. Maya’s dad is at their home, and Maya urges him to do what her mother would have, so he agrees to hide Fox, but not before warning Bell that if their blood really can cure the Mountain Men, they’ll never stop. 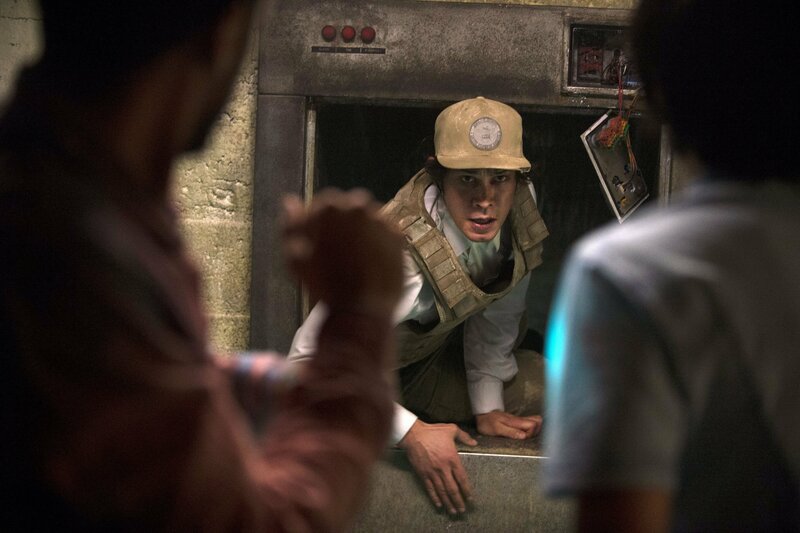 With Fox safe, Bell and Maya move to go to the armory, and Maya tells him about how he can get into level 5 through a trash chute. They split up, and Maya runs into Cage with a group of guards, who tells her they were just about to come see her. Uh oh. They strap Maya into a suit that has only 20 minutes of oxygen in it and throw her into level 5 with the 47. Jasper says he won’t let Maya die, and Maya says she won’t let him surrender. Before the choice is made however, Bell shows up in the trash chute in the nick of time. The three of them go down it. This scene really had me feeling sick and sad. 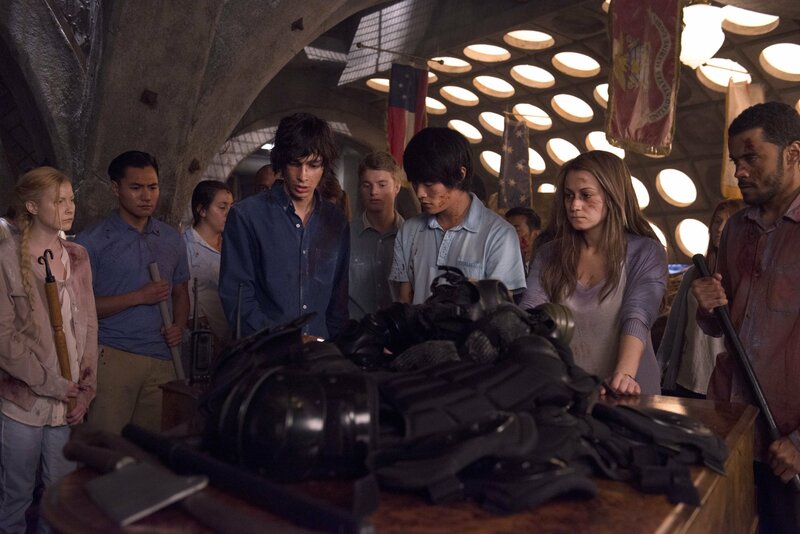 Bellamy informs Jasper that Clarke is on her way with an army of Grounders, and Jasper in turn laughs, saying, “Don’t tell me Finn finally got his peace talks.” Bellamy’s face looks pained as he responds, “Something like that.” Bell clearly understood that he needed to keep Jasper focused and couldn’t tell him Finn was dead yet. I would have to say that “Resurrection” was probably my favourite episode this season thus far. I don’t know what it is about it, apart from the fact it shifted my view of the show a little more to appreciate how gritty and dark it truly is. See you next week!